Port Orange has a reputation for aggressive DUI enforcement. They also have a reputation for pushing the limits and frequently arrest people who are not impaired. 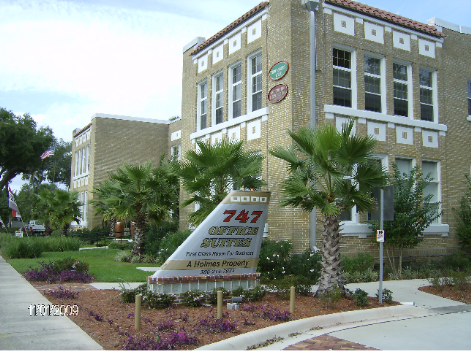 If you have been accused of a DUI in Port Orange you need a Port Orange DUI Attorney. Attorney Kevin J. Pitts has prosecuted and defended Port Orange DUI cases. Mr. Pitts started his legal career as an Assistant State Attorney in Daytona Beach spending 19 months prosecuting DUI cases. 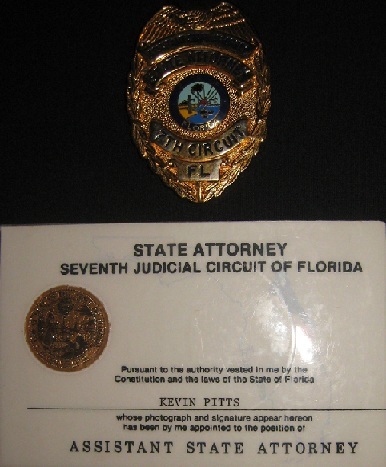 In 2010 Kevin J. Pitts went into private practice focusing on DUI defense, criminal defense and traffic tickets. Mr. Pitts now has offices in Sanford and Daytona Beach. 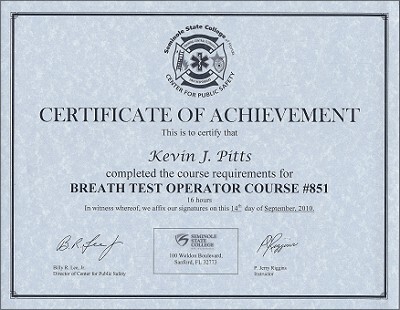 Attorney Kevin J. Pitts has successfully completed the breath test operator training course giving him firsthand experience with the only breath test machine admissible in Florida DUI cases. If you are arrested for a DUI in Port Orange or the surrounding areas you have 10 days to request or waive a formal review to obtain a hardship license. This can be done at 995 Orange Ave, Daytona Beach, FL 32114. If you do not take action within 10 days your license will be automatically suspended for 12 months on a refusal (no driving for the first 90 days) 6 months on a breath test (no driving for the first 30 days). As of July 1, 2013 it is possible to waive the formal review and immediately obtain a hardship license. This is only possible on first DUI case. You must pay $225, sign up for the DUI class and be Florida real ID compliant. Attorney Kevin J. Pitts has experience handling Port Orange breath test cases, Port Orange urine test cases, Port Orange blood draw cases and Port Orange DUI refusals. If you are arrested for a first time Port Orange DUI or a Port Orange DUI with priors call Port Orange DUI Attorney Kevin J. Pitts at 386-451-5112 for a free case evaluation and discuss your driver’s license options. 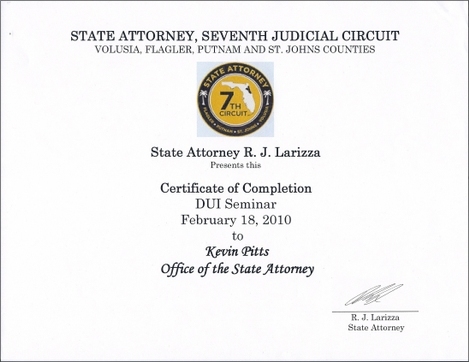 Daytona Beach DUI lawyer Kevin J. Pitts has completed the Volusia County State Attorney's office DUI training seminar. Daytona Beach DUI Attorney Kevin J. Pitts has completed the 16 hour Breath Test Operator course for the Intoxilyzer 8000.